Ferris Bueller's Day Off is a Registered Trademark, Copyright ©1986 Hughes Entertainment/Paramount Pictures, all rights reserved. This book is an unofficial publication and is not endorsed or approved by either Hughes Entertainment or Paramount Pictures. Ferris Bueller's Day Off, written and directed by John Hughes (1950-2009), is one of the best-known movies of the 1980s. It is certainly one of the most overtly humorous of Hughes's canon of teen movies and is also one of his best-remembered, its profile challenged only by the acclaimed The Breakfast Club which was released the year beforehand. Contrasting perfectly with the more serious, issue-based tone of Pretty in Pink which immediately preceded it the same year, Hughes's wittily incisive dialogue was never as razor-sharp as when delivered by the smart-mouthed high school slacker Ferris Bueller. Cool as ice, massively popular with everyone he meets and seemingly impossible to outsmart, Ferris was the teenager with all the answers; the kind of person everyone growing up in an eighties high school wanted to be. 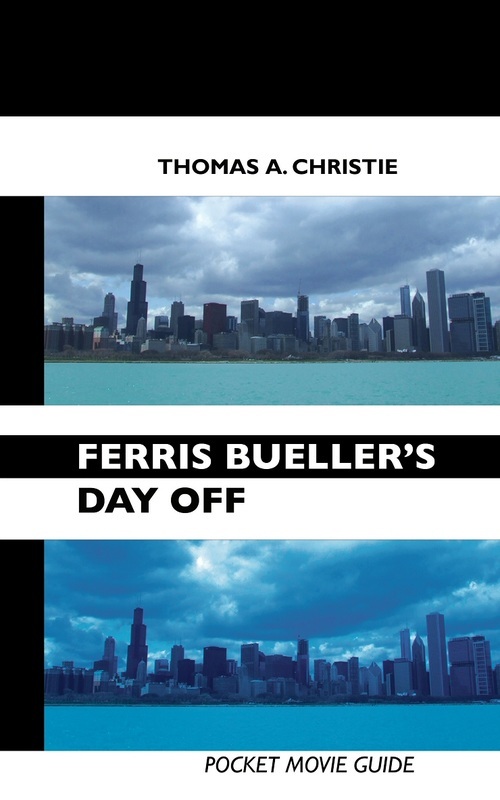 The Pocket Movie Guide examines a variety of different aspects of Ferris Bueller's Day Off, from a discussion of its cultural significance and its place in Hughes's wider directorial career through to a detailed breakdown of the film's structure. There are chapters on the music of the movie and the locations where it was filmed, as well as an in-depth exploration of the cinematic careers of the main and supporting cast (both prior to and following the success of the film itself). Other features include details of the film's worldwide theatrical release, and a further reading section. This book was written as one of the first volumes in Crescent Moon's new line of Pocket Movie Guides. Although my book on John Hughes had discussed Ferris Bueller's Day Off in the context of Hughes's wider film-making career, this guide gave me the opportunity to really get to the heart of the film and take a closer look at what made it tick. As well as an extended analysis of the movie itself, I was able to go into much greater depth with regard to the acting careers of the main cast, the music of the film, the locations involved in the production, and many other details besides. Ferris Bueller's Day Off has always been a particular favourite of mine - having grown up through the eighties, I knew exactly where Ferris was coming from! - so I was thrilled to have the chance to revisit the film in adulthood and find out just why it has retained such lasting popularity with audiences over the years.